Risk Profiling, what is your risk appetite? How much risk you would like to take? Asset Allocation, Portfolio Construction and Accumulation of Wealth through Systematic Investment Plans (SIP) of Mutual Funds. Regular review of Portfolio & rebalancing, if required. Essentially, Investment Planning involves identifying your financial goals throughout your life, and prioritizing them. It is important because it helps you to derive the maximum benefit from your investments. Investment Planning also helps you to strike a balance between risk and returns. By prudent planning, it is possible to arrive at an optimal mix of risk and returns that suits your requirements. As per the above table if someone invests Rs. 18 lacs and return on investment is 15% per annum then maturity value would be 41.79 lacs as indicated in below table. Assumption: Annualized Return is 15% per annum. You do not have to be wealthy to be an investor. Investing even a small amount can produce considerable rewards over the long-term, especially if you do it regularly. But you need to decide about how much you want to invest and where. To choose wisely, you need to know the investment options thoroughly and their relative risk exposures. Creating wealth over the long term. Acquiring assets like a dream house or a dream car. Fulfilling your need for financial security. Choose the Right Investment Option: The choice of the best investment options for you will depend on your personal circumstances. For example, a good investment for a long-term retirement plan may not be a good investment for higher education expenses. In most cases, the right investment is a balance of three things: Liquidity, Safety and Return. 1). Liquidity - how accessible is your money? How easily an investment can be converted to cash, since part of your invested money must be available to cover financial emergencies. 2). Safety - what is the risk involved? The biggest risk is the risk of losing the money you have invested. Another equally important risk is that your investments will not provide enough growth or income to offset the impact of inflation, which could lead to a gradual increase in the cost of living. There are additional risks as well (like decline in economic growth). But the biggest risk of all is not investing at all. 3). Return - what can you expect to get back on your investment? Investments are made for the purpose of generating returns. Safe investments often promise a specific, though limited return. Those that involve more risk offer the opportunity to make - or lose - a lot of money. You can make your own investment picking approach or adopt one after consulting financial experts or investment advisors. Whatever method you use, keep in mind the importance of diversification, or variety in your investment portfolio and the need for a strategy, or a plan, to guide your choices. In this category, investors take only limited risk by concentrating on secure, fixed-income investments. Such Investors take moderate risk by investing in mutual funds, bonds, select blue-chip equity shares. Investors who take major risk on investments in order to have high returns (above-average) through speculation or unpredictable equity shares. Step 1: Identify your financial goals, needs and wants: The starting point of a sound investment plan is to begin with a clear understanding of you financial needs and goals. Typically, any financial need or goal would translate into determining the tenure of your investment (investment horizon). All investment needs and goals can therefore be translated into short-term (less than 1 year), medium-term (more than 1 year) and long-term (more than 5 years). Step 2: Understanding various investment options: There are three basic investment categories: Equity, Debt and Cash. Any investment can be classified into one of these three categories, or asset classes. The key to investment success lies in understanding how each asset class performs over the various investment horizons, the choices within each category and the risks involved in making investment decisions in each of these choices. Equity or Stocks are ownership shares investors buy in a corporation. When you make equity investments, you become part-owner (to the extent of your shareholding) of the company you have invested in. However, there is no particular rate of return indicated while investing. The current value of your holding is reflected in the price at which the stock/share is traded in the stock markets. Hence, these constitute a relatively riskier form of investment. 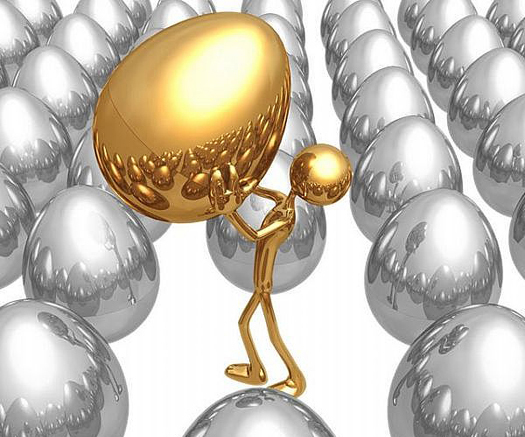 Step 3 : Rule of Diversification Do not put all your eggs in one basket! Diversify your investment portfolio in different asset classes like equity, gold, real estate, debt and cash. Making an asset allocation plan is about determining the proportion of investments in each of the three basic asset classes. Essentially this depends upon your profile as an investor. Whatever stage of life you are at, you would need to invest part of your money for security and liquidity. A part of your investments should generate regular income and part of it should contribute to growth and capital appreciation. The proportion however, will vary based on individual goals, time horizons available to meet those goals and one's risk profile (the tolerance reaction to any down turn in the stock/debt markets). The key to investment success lies in determining the appropriate mix of the above mentioned categories and not just the individual investments that are done within each category.